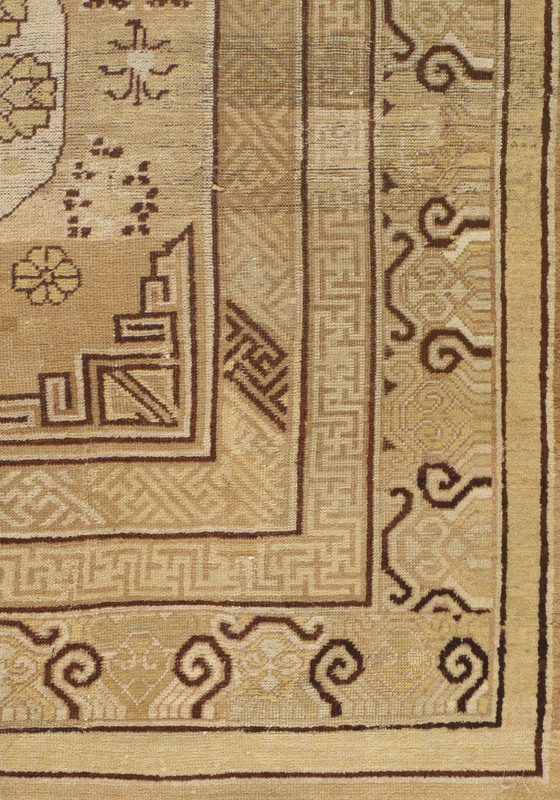 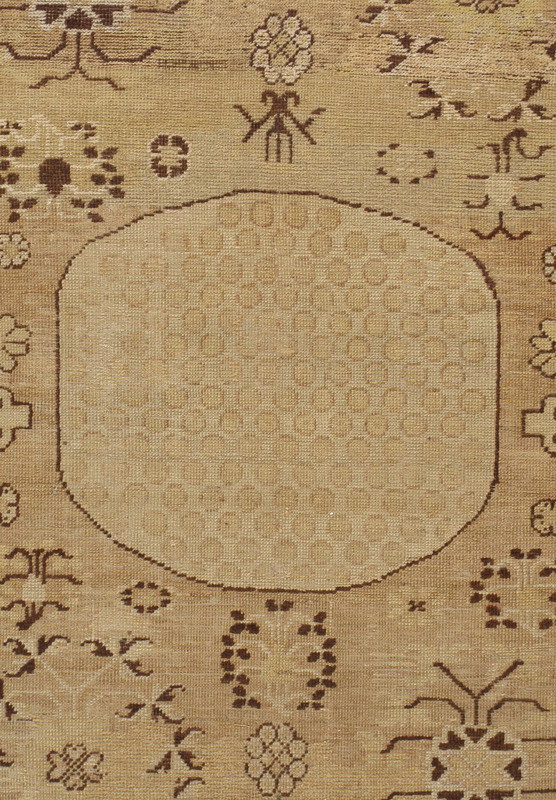 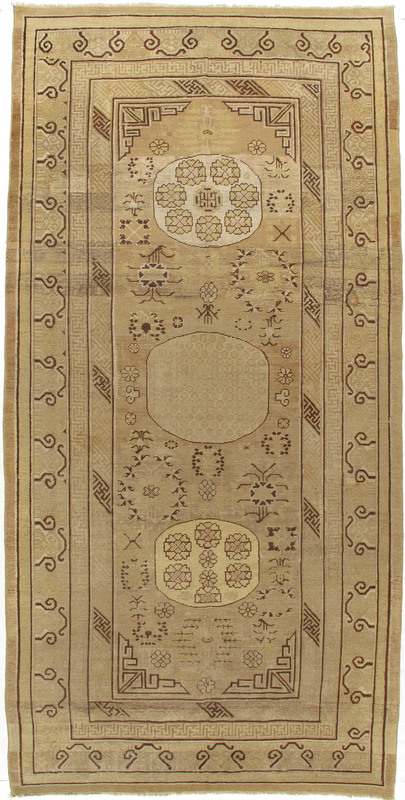 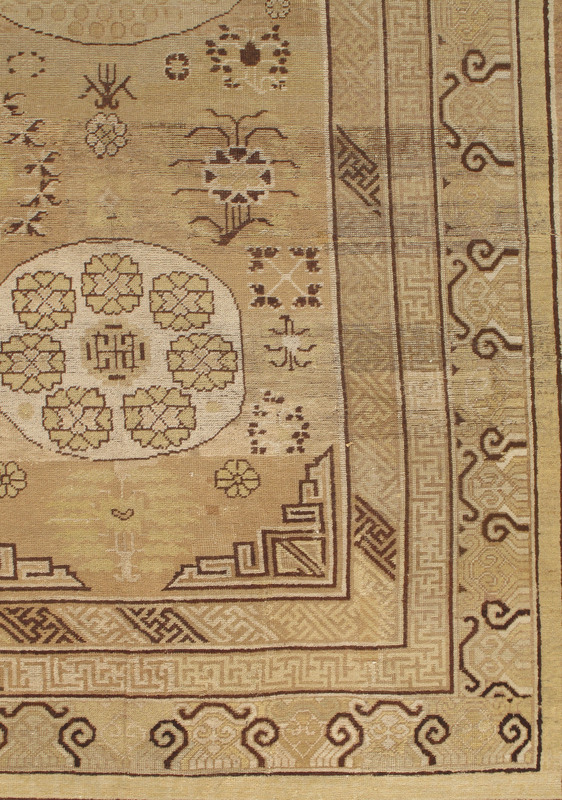 This antique Khotan rug from China portrays three central medallions each containing floral patterns of various sizes. 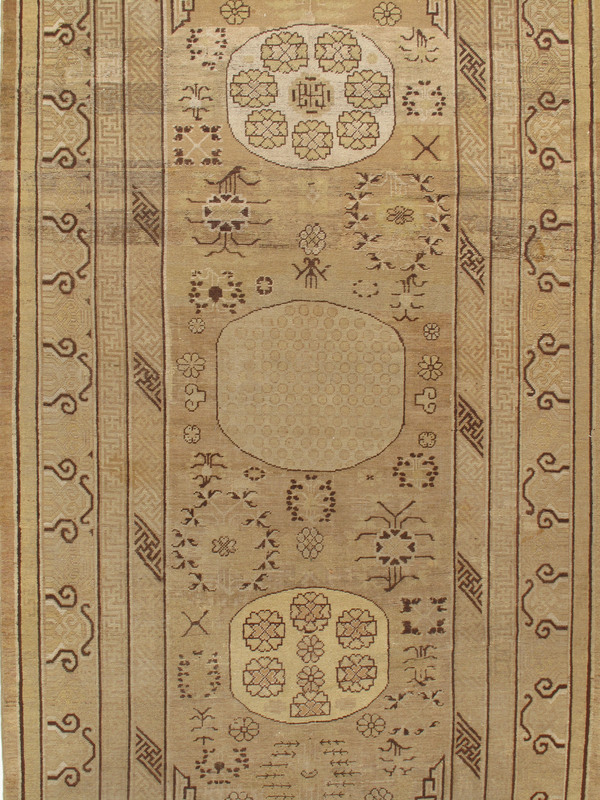 Surrounding the medallions are gracefully designed organic shapes and four geometric cornerpieces that populate the tan central field. 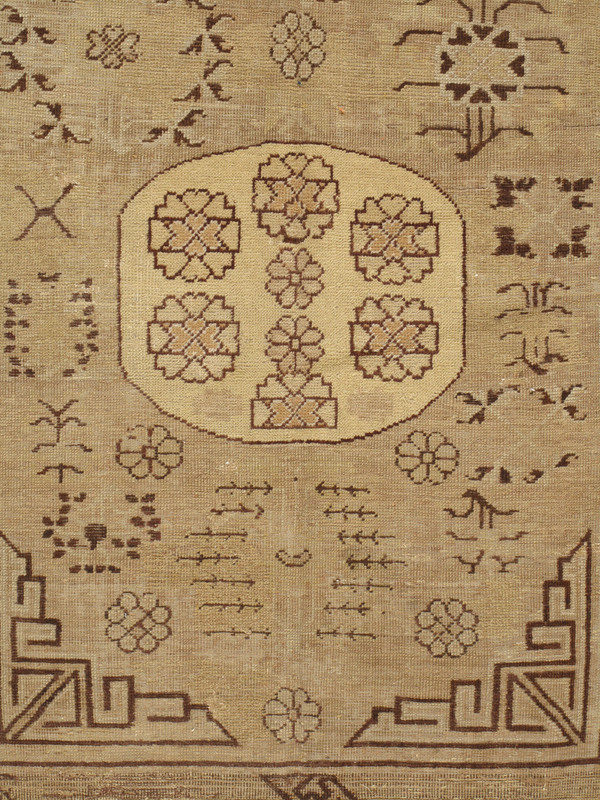 A strong border containing three rows of symmetrical symbols in tan and dark chocolate solidifies the design.